Injuries happen anywhere and everywhere. Oftentimes, though, getting to the emergency room can require time you don’t have. Immediately available medical supplies can make the difference between life and death. Same as every hunting camp, every survival pack should have a hunting first aid kit. 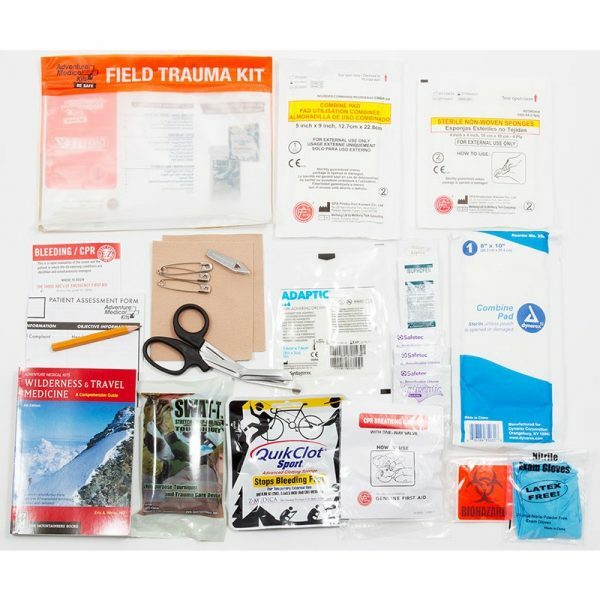 These specialized kits contain a number of first aid supplies to help with injuries like penetration wounds and deep cuts. Fractures and sprains are particularly hazardous in the field. Not only a source of great pain, such injuries impede mobility. The Grizzly Sportsman Series kit comes with a C-Splint, 4 specialized bandages, and instructions on caring for fractures and sprains. Wounds have a much higher chance of infection in the field. 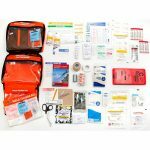 Even more significantly, most first aid kits lack the necessary supplies for hospital-level wound care. This hunting first aid kid from Grizzly proves itself the exception. Supplies include an irrigation syringe, wound closure strips, antiseptic wipes, after-bite wipe, antibiotic ointment, and more. Hunting accidents are often fast, deadly, and require immediate care. The Grizzly Sportsman Medical Kit comes with a number of supplies to stop bleeding, seal wounds, and save lives. 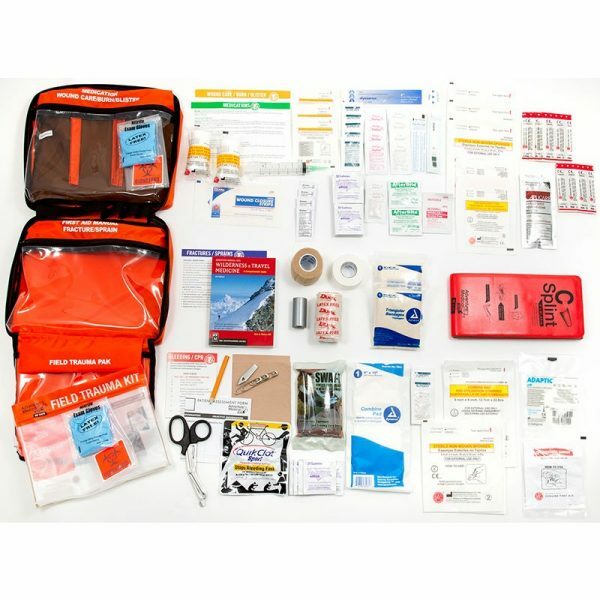 Access essentials like QuikClot Sport, 2 high quality trauma pads, medical gloves, a Swat-T tourniquet, mole skin, pain killers, and CPR face shield. The components of a hunting first aid kit matter. So too, however, does its overall design. 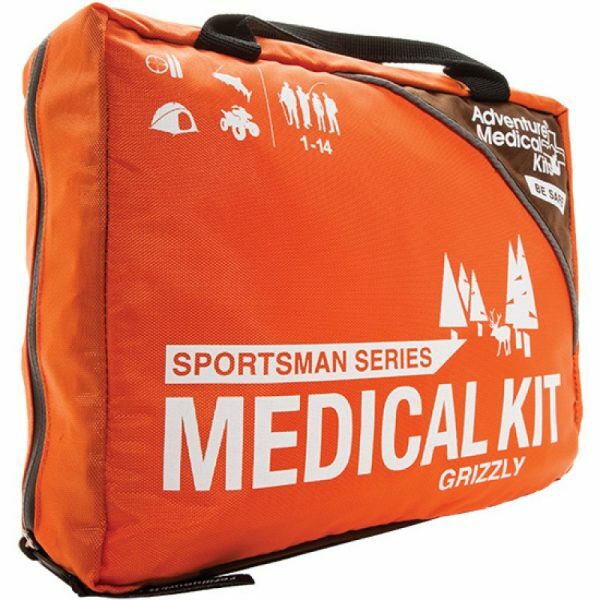 The Sportsman Series Medical Kit from Grizzly does not disappoint. Meticulously organized, this kit’s pack unfolds into three different compartments. Two have a transparent covering for quick location of necessary supplies. Digging through the kit is simple and effective. 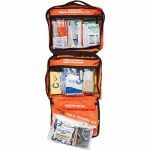 Just as important, the this hunting first aid kit’s pack is also durable. Waterproof and hard to tear, it can easily endure all the typical stresses of a wilderness excursion. 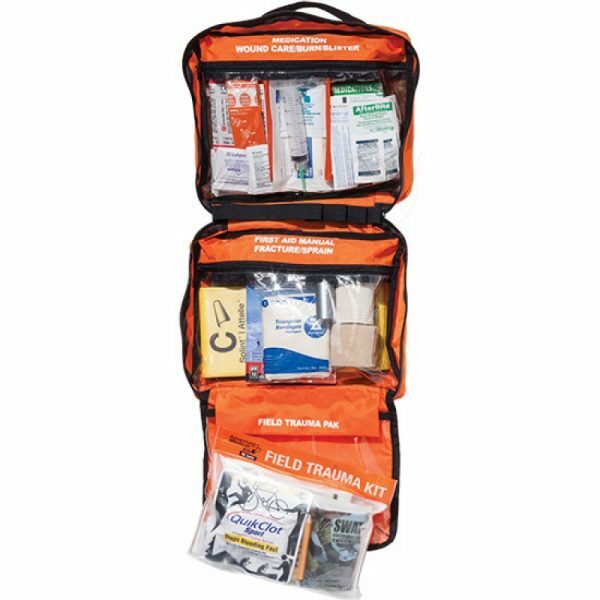 Already transportable, the Sportsman Series Medical Kit from Grizzly also has a removable field trauma pack.